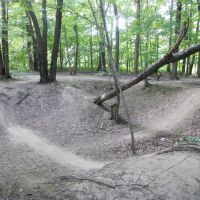 GROC maintains over 50 miles of singletrack in the greater Rochester area, spread across five parks. Plenty of riding is available for riders of all skill levels! All of our trail maps are available for free via the highly-rated MTB Project app, available at no cost for both Android and iOS users. Just roll up to the trailhead, fire up the app, and your phone's GPS will show you your location within the trail system. It's that easy! This park was dedicated in May, 2004. Dryer Road Park is the site of two multi-purpose athletic fields as well as a box rink for lacrosse, soccer and in-line hockey. In addition, children and families can enjoy a multi-age playground and year round park building. Dryer Road Park boasts the region's most diverse multi-use trail system for hiking , mountain biking, snowshoeing and cross-country skiing. The park links Victor's Native American past with our future. 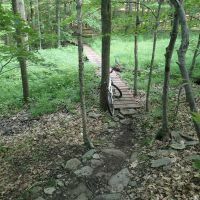 For interactive maps, visit Dryer Road Park on MTB Project. Excellent dirt, but deep leaves in some places. Soft on SSW Ext. Thanks to Trail Crew for raking trails on east side of hill! This 14,350 acre Letchworth State Park, the "Grand Canyon of the East," is one of the most scenic areas in the eastern U.S. 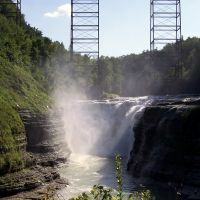 The Genesee River roars through the deep gorge over three major waterfalls. 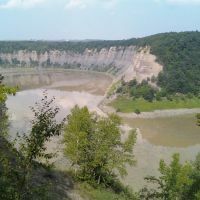 The shale and sandstone cliffs rise as high as 600 feet in places. 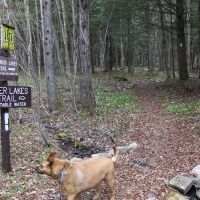 Through an agreement with the Finger Lakes Trail Conference, cyclists are permitted on a stretch of the historic Finger Lakes Trail within the park. 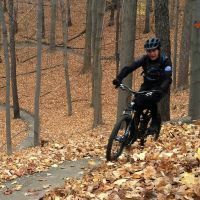 Please note that the trails are only open for riding from June 1st to October 31st. The trailhead is available near the dam, at 2763 Visitor Center Road in Mt. Morris. Keep in mind this is a big out and back - you can bail to the road, or arrange a shuttle with a friend! Click here to download the latest printable trail map. 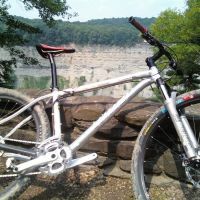 For interactive maps, visit Letchworth State Park on MTB Project. 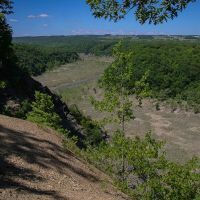 There's no better place to slip away to than the highest point in Ontario County, Gannett Hill Park, in the scenic Bristol Hills. 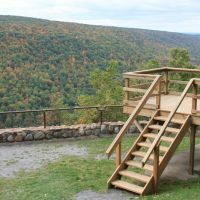 At an elevation of 2,256 feet above sea level, you'll have expansive views to the East; view portions of Ontario County and the hills behind Seneca and Cayuga Lakes. 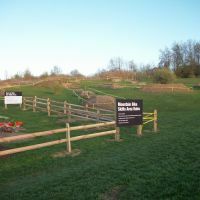 Beginner and intermediate users will enjoy the yellow and purple trails, which wind along the hillside. A panorama, changing with every season is the Northeast. From the "Look Out" can view the Bristol Hills. 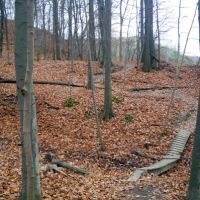 The new Black trail takes more advanced riders on a long winding descent into the rocky terrain, with a slow climb back up to park level. Click here to download the latest printable trail map. 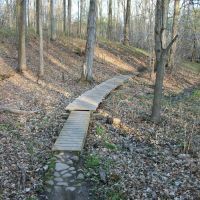 For interactive maps, visit Ontario County Park on MTB Project. Heavy rain last night/today so will need some time to dry out. 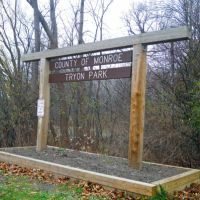 Tryon Park provides 10+ miles of shared use trails in the middle of Monroe county. 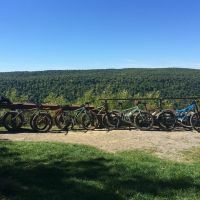 Featuring more rugged and natural terrain, this park is well suited for more experienced mountain bikers looking to tackle technical terrain. 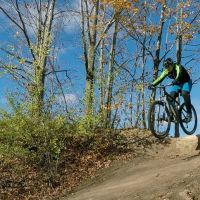 The north end of the park features trails well suited to riders looking to go fast and get some air on steep terrain, while the south end features several technical features to sharpen your skills. 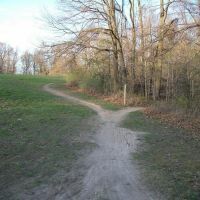 A snaking network of trails connects the two ends of the park, taking riders through a wide variety of local terrain. Trailhead and parking are available at the end of Tryon Park after the 590 bridge, off the intersection of Winton Road and Tryon Park. Click here to download the latest printable trail map. For interactive maps, visit Tryon Park on MTB Project. In addition to the parks that GROC constructs and maintains multi-use trails in, there are many rail trails and nature preserves in the area that are open to bikes. 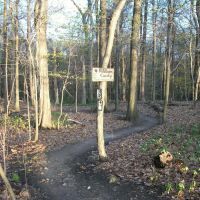 Rail trails can provide great riding when the singletrack is too wet, and there are plenty in the greater Rochester area. 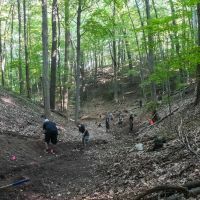 For more singletrack to the east and west, check out Saratoga MTB and WNYMBA. 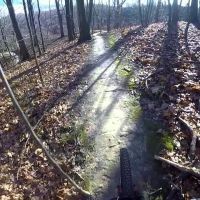 This trail system is a small but bountiful place for a beginner or intermediate rider. The preserve consists of approximately 240 acres of land purchased by the Town of Webster under the open space referendum. Open to shared use, including hiking, biking, snowshoeing, and cross country skiing. 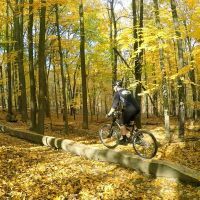 Provides great fatbike riding in the winter when packed down! Tons of single track and dirt roads. Good place for all levels of riders, although you better like roots, rocks, and some climbing. Harriet Hollister Spencer Recreation Area provides picnic tables, hiking, cross-country skiing and biking trails. Deer hunting is permitted in season. Small game hunting is not permitted at any time. There is only one pavilion available at Harriet Hollister Spencer State Recreation Area. In the winter, cross-country ski grooming is provided by the RXCSF. Winter cycling is permitted; please avoid disturbing the ski tracks and yield to skiiers. 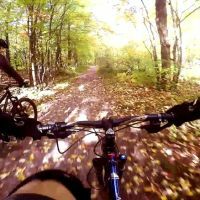 The Erie Canalway Trail is a cycling destination for riders of all abilities. Following one of the world's most famous manmade waterways, it spans New York State between Albany and Buffalo. Whether enjoying a leisurely ride from one village to another or spending a week completing the entire 360 miles, the Erie Canalway Trail offers endless adventures exploring the charming towns, living history, scenic beauty and cultural attractions of New York State. 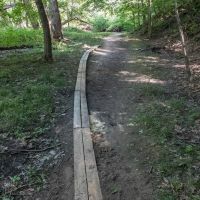 The Genesee Valley Greenway State Park is one of hundreds of greenways being developed across the nation along old canals, abandoned rail beds, and riverbanks. It passes through scenic woodlands, river and stream valleys, rolling farmlands, steep gorges, and historic villages located in sixteen towns in Monroe, Livingston, Wyoming, Allegany, and Cattaraugus counties in New York State. 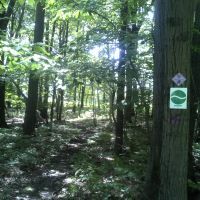 Ontario Pathways is a twenty five mile system comprised of a 23.3 mile multi-use rail trail with an additional three loop trails for another 1.7 miles of hiking-only trail. 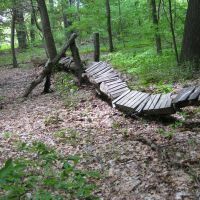 Located in Ontario County, the trail is open year round from dawn to dusk and is free to the general public to use. The Auburn Trail is a major cross-town, multi-use pathway, which provides connections to other trails and an up-close view of one of the oldest railroad buildings in the country.